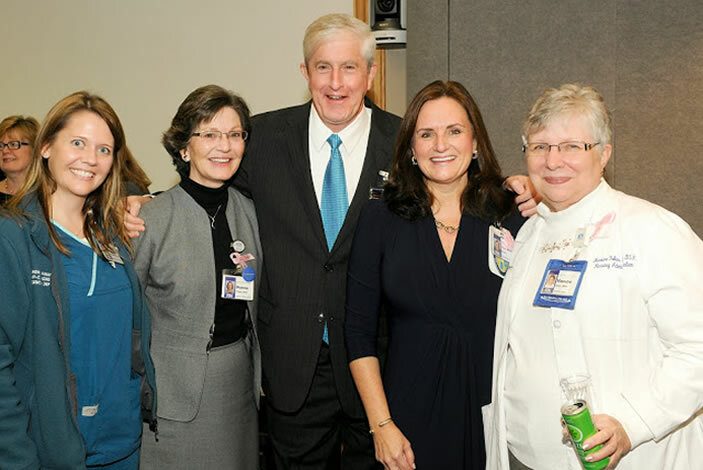 At the announcement, left to right: Sharon Vanairsdale (ER nurse), Dianne Foster (EUH director of nursing operations), Bob Bachman (EUH CEO), Susan Grant (Emory Healthcare chief nursing executive), and Maxine Foles (EUH nursing supervisor). The moment the packed hospital auditorium heard the announcement. With this milestone, Emory University Hospital joins the prominent Magnet community - a select group of less than 400 health care organizations around the globe. Christian Larsen (Dean, Emory University School of Medicine) and William Bornstein (Chief Quality and Medical Officer, Emory Healthcare) were on hand when the announcement was made. To achieve Magnet recognition, organizations must pass a rigorous and lengthy process that demands widespread participation from leadership and staff. 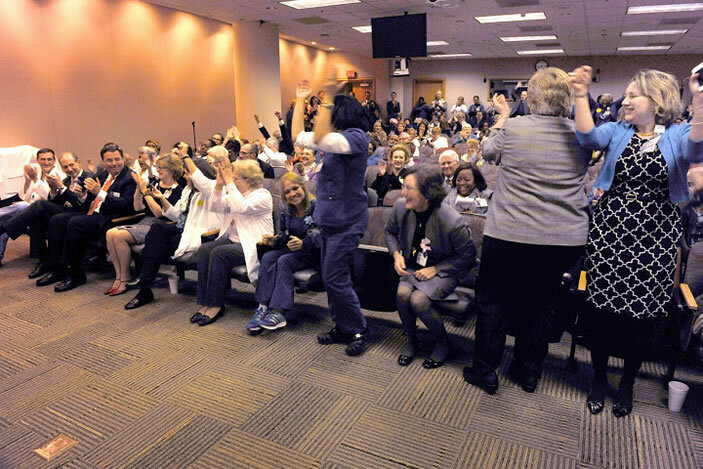 Emory Healthcare staff celebrate the announcement. "This distinctive achievement is the fruit of countless hours of work by literally thousands of people over the past six-plus years," says John T. Fox, president and CEO of Emory Healthcare. 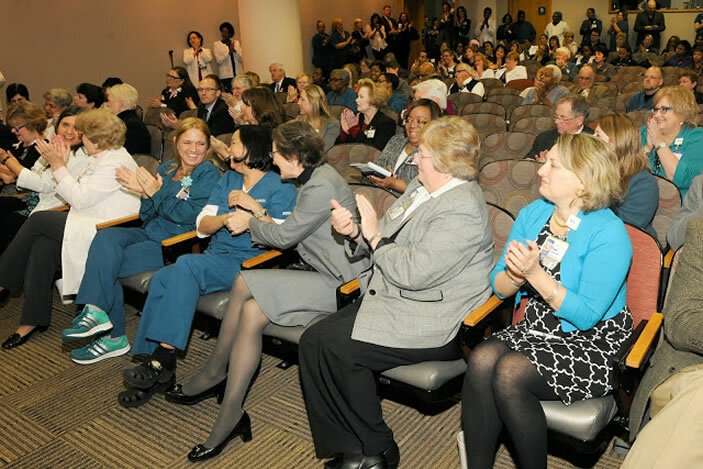 Emory University Hospital has achieved the prestigious Magnet® recognition as a reflection of its nursing professionalism, teamwork and quality in patient care. Magnet recognition is granted by the American Nurses Credentialing Center's (ANCC) Magnet Recognition Program®, which ensures that rigorous standards for nursing excellence are met. With this milestone, Emory University Hospital joins the prominent Magnet community — a select group of less than 400 health care organizations around the globe. Emory Healthcare is now the only system in Georgia with two Magnet-recognized hospitals, Emory University Hospital and Emory Saint Joseph's Hospital. Emory's hospitals are two of the three Magnet-designated hospitals in the metro Atlanta area, along with the VA Medical Center. Few hospitals that submit applications and documentation for Magnet recognition achieve this success. In fact, only 6.9 percent of all U.S. hospitals have earned Magnet Recognition status. With this milestone, Emory University Hospital joins the prominent Magnet community - a select group of less than 400 health care organizations around the globe. To achieve Magnet recognition, organizations must pass a rigorous and lengthy process that demands widespread participation from leadership and staff. The process begins with the submission of an electronic application, followed by written documentation demonstrating qualitative and quantitative evidence regarding patient care and outcomes. If scores from the written documentation fall within a range of excellence, an on-site visit by the ANCC will occur. After this rigorous on-site review process, the Commission on Magnet will review the completed appraisal report and vote to determine whether Magnet recognition will be granted. "Our documentation, data review and in-person interviews reflected years of work demonstrating improvements in patient outcomes and quality, nursing engagement and patient satisfaction, amongst other things," says Susan Grant, MS, RN, FAAN, chief nurse executive at Emory Healthcare. "The ANCC's on-site visit last month allowed us to proudly show off our organization, and how our many teams collaborate in providing exceptional patient care." 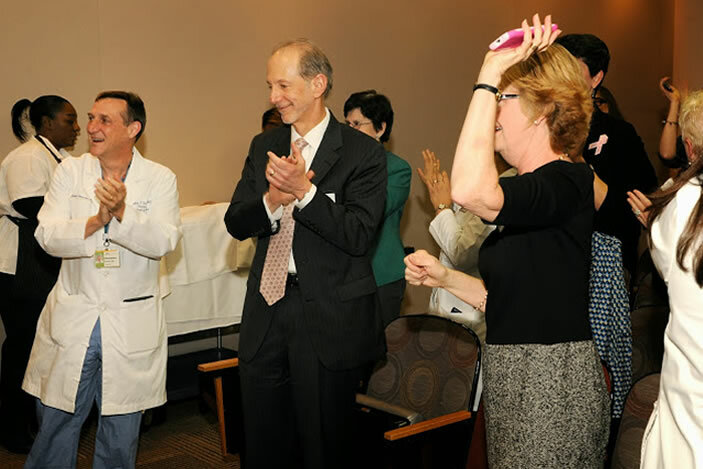 "This Magnet recognition demonstrates what we have accomplished as one big team — nurses, physicians, technicians, dieticians, support staff, and many others — for our patients," says Robert Bachman, CEO of Emory University Hospital. "This designation validates our efforts and confirms that we are on the right track to continued excellence." Because of its importance, Magnet recognition is taken into consideration when health care organizations are ranked nationally for their clinical programs and expertise. In fact, U.S. News & World Report's annual issue of "America's Best Hospitals" includes Magnet recognition in its ranking criteria for quality of inpatient care. 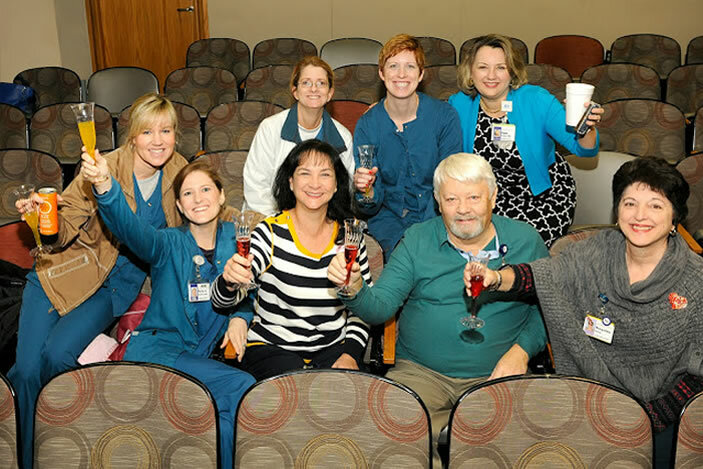 For other hospitals within the Emory Healthcare system, Emory Saint Joseph's Hospital submitted its Magnet renewal documentation in Oct. 2013, and is scheduled for a site visit this Feb., for its fifth consecutive Magnet designation. Emory University Hospital Midtown submitted is Magnet application in Aug. 2013, and is now preparing for document submission to the ANCC in the next few years.